From Pakistan International School, Al-Khober to Rahima Academy, Ras Tanura to Iqra University, Karachi to Prince Sattam University Al Kharj, is the long journey of my educational background and career. My name is Asma Khan. I am daughter of Mr. Mahtab Saeed Khan (Badge No. 73076) worked for Communication Department Dhahran, retiree of Saudi Aramco, Saudi Arabia. 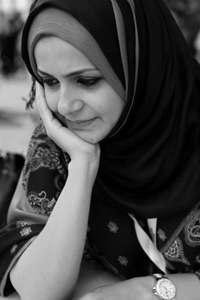 I was born on 2nd October 1984 in Dhahran, Saudi Arabia. I finished my high school in 2002 from Rahima Academy (International School Groups) with distinguished percentage of 99.67%. After high school, I joined Iqra University, Karachi, Pakistan and completed my Bachelor in Business Administration with specialization in Human Resource Management. During my bachelors program, I participated in a lot of extracurricular activities, mainly, debates and declamations. That was the time I discovered my potential as a speaker and came over stage fright. 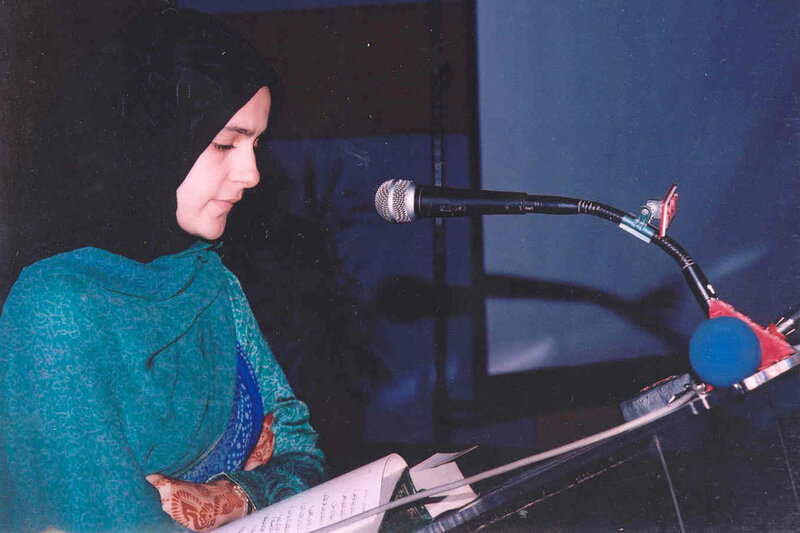 I represented my university at different forums all over Pakistan. I won a lot of competitions, including All Pakistan National Youth Convention in 2006, where I stood first in position. I was honored with prize from the ex-president of Pakistan, General Pervaiz Musharraf. 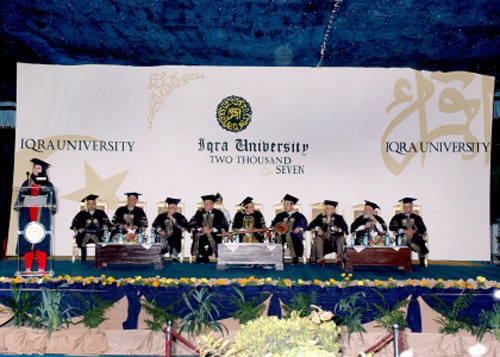 I was also awarded the best speaker of Iqra University in 10 years. Other than debates, I also ran for student council’s election and became the president in 2002. Experience of presidencynurtured me in developing leadership and motivation skills. It also allowed me to learn team management and understand the dynamics of followership. I never went off the track of my academics while being involved in nonacademic activities. My hard work during the university earned me the title of valedictorian in my bachelor’s convocation. It was the first time I was nervous yet proud. I was speaking for the very first time in presence of my parents and family. I went on to complete my MBA and M.Phil. from the same university in Supply Chain Management. After a year, I got married and at the same time I joined Iqra University as a lecturer. Teaching is a very satisfying experience one can have. The feeling that you have made a positive difference is someone’s learning can be one of the best feelings. The process of knowledge transfer is never one way. There is always to learn from the students as well. Teaching in higher education is much richer. Surrounded by the potentials that are soon going to become part of the industry, always open new doors for intelligent discussions and questioning. I served there for 4 years and then in 2013 I had job offer from Prince Sattam Bin Abdulaziz University (PSAU), Al Kharj, Saudi Arabia. Presently, I am lecturer, Quality and Development Coordinator and Assistant Head of the Human Resource Department in the College of Business Administration, PSAU. I had always desired to come back and work in the Kingdom and Alhamdulillah, here I am! There is a great difference between Saudi higher education system and in Pakistan, especially in the orientation of the students. With time, a revolution has come in the mentalities of the local students. Now, they do understand the need to study and want become part of the Saudi economic system and its development. It took a while to adjust my frequency with them but then I successfully got the balls rolling. I have been awarded best faculty of the year twice consecutively. The amount of respect and acknowledgement I have earned is based on the dedication and effort I have invested in my career but, I am proud to say that my foundation is laidby the hard work and support provided by my father. Where I stand today is the product of my parent’s encouragement and prayers. The journey hasn't ended here. I have always been a profound of academics and research aura, therefore, now I am pursuing my PhD degree from Malaysia and working on some research publications. I am thankful to my family especially to my parents for letting me touch the skies. I pray for the best health and happiness of my parents in this world and hereafter. Aameen. SAEEA wish Asma Khan a very bright future and success in her life.